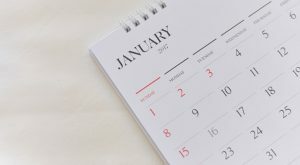 Although the month of January is generally a good one for the market (with the S&P 500 averaging a 0.8% gain), the first month of the calendar year is an unusually good month for certain stocks to buy, year in and year out. The reason? Well. the most plausible reason is that it’s got something to do with the foray into a new tax year, or perhaps cold weather ultimately spurs a bullish sentiment on these names. Regardless of the reason, it happens. With that as the backdrop, here’s a closer look at the top five stocks to buy this month. I’ve calculated the lifetime monthly returns for each stock using a proprietary charting platform, and each of them is in the habit of reliably making their way decidedly higher during January. There’s never really a bad time to own Apple Inc. (NASDAQ:AAPL), but the beginning of the year is historically a great time to move AAPL from your list of potential stocks to buy into your portfolio. The company needs no introduction or explanation — it’s the maker of the iPhone. Enough said. What’s worth pointing out, though, is the fact that nearly all of its iPhone launches (and all of the recent ones) have occurred in September, further solidifying the stock’s calendar-based tendencies; traders tend to dish out a fairly limited number of predictable responses. The proof is in the numbers. Apple stock advances an average of 2.9% during January, and makes a gain of some size 63% of the time. While Microsoft Corporation (NASDAQ:MSFT) may not have the same rabid fan base AAPL stock does, it makes more — and more consistent — progress than Apple shares do, surprisingly enough. And January is an especially great month for MSFT shares. They average a gain of 4.8%, and end the month higher than where that started it 66% of the time, easily earning it a spot on the roster of stocks to buy sooner than later. And January of 2017 could be a particularly good year for Microsoft shareholders, as 2016’s full-year performance was sub-par. The stock’s got some catching up to do; the fundamental underpinnings are more than compelling enough. Just for the record, Level 3 Communications, Inc. (NYSE:LVLT) usually ends up giving most of its big January gains back in November. Doesn’t matter. The January gain is usually more than worth the quick in-and-out. LVLT has averaged a gain of 10.2% for the month going back many years, and makes a gain in January 78% of the time. Level 3 shares are particularly attractive this month, as their lackluster performance in 2016 has left room for some upside this year. Cisco Systems, Inc. (NASDAQ:CSCO) has earned a spot on too many lists of stocks to buy lately, short-term or long-term. Its bread-and-butter router/switching hardware business is under attack by software-based alternatives, and though Cisco has undertaken some R&D of its own to remain competitive, it’s in the midst of a war it was never planning on fighting. There is an upside to this paradigm shift, however. The era of software-based virtual switches and routers translates into high-margin, recurring revenue. The top line isn’t quite as strong as it would be with hardware, but the bottom line is still attractive. With that as the backdrop, yes, CSCO stock may be worth a shot here … especially as we move into the heart of January. The stock averages a gain of 4% for the month and ends January higher almost two-thirds of the time. Last but not least, put Hologic, Inc. (NASDAQ:HOLX) on your list of stocks to buy at least for the month currently underway. With just a quick glance, Hologic’s trailing price-earnings ratio of 89 makes the stock tough to get excited about owning … even for the short run. The past doesn’t look anything like the future, though. The company announced last month it would be selling its blood-screening division, and just this week the FDA approved Hologic’s Aptima HIV-1 Quant Assay, which should prove to be a superior HIV diagnostic tool. Point being, it’s a whole new ballgame for 2017. The pros think the current year is going to be considerably more profitable, too. HOLX gains an average of 9.2% in January, and makes its way higher for the month 69% of the time. Article printed from InvestorPlace Media, https://investorplace.com/2017/01/5-stocks-to-buy-in-january/.